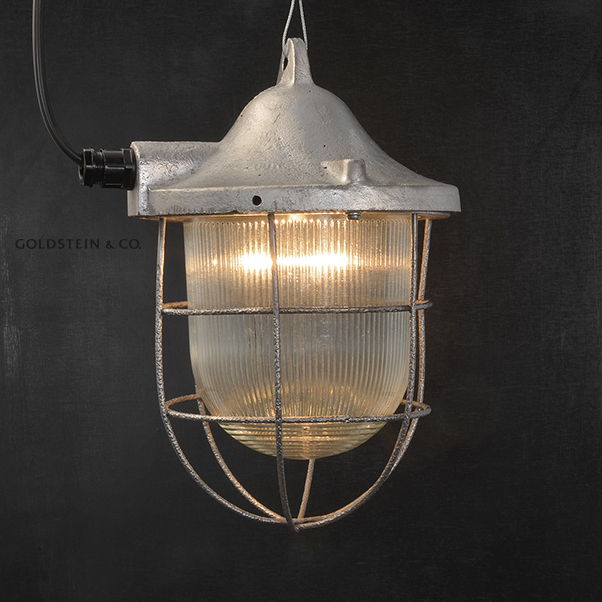 Industrial pendant light with cast aluminium body and prismatic glass dome. 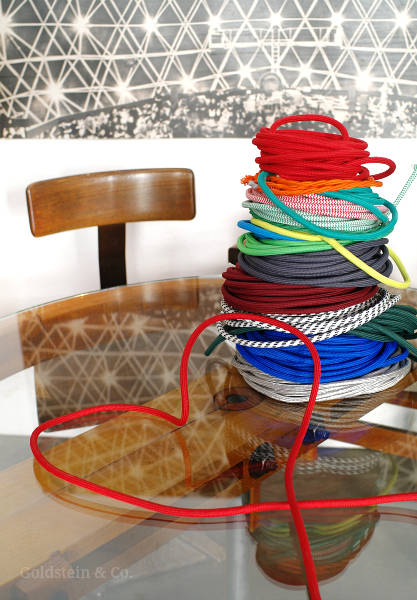 Please note: You can order these lamps with your own cord color and length! Please feel free to contact us. 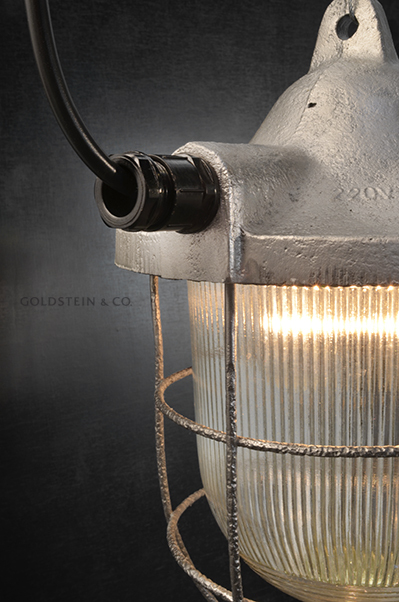 These lamps were produced as of 1924 in a wide range of different designs and are the embodiment of twentieth-century industrial charm. Their simple, elegant appearance belies their extremely robust design. 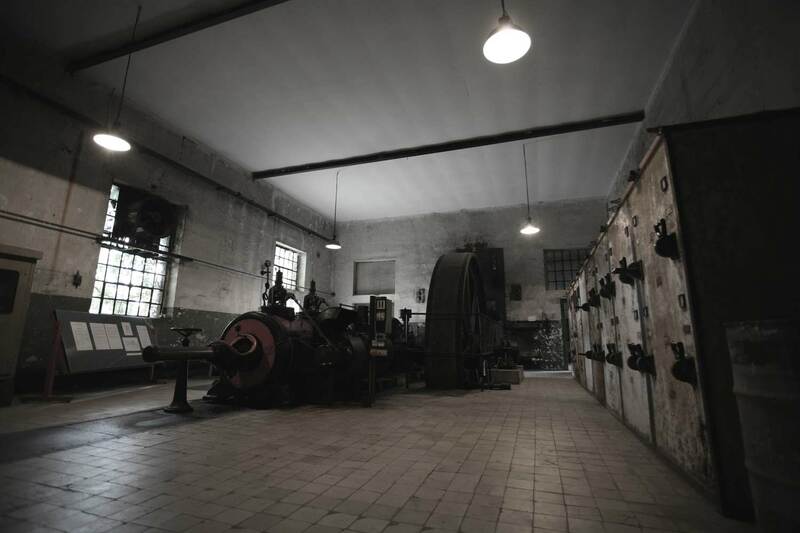 They were used in power stations, on tank farms and in other buildings containing hazardous materials. 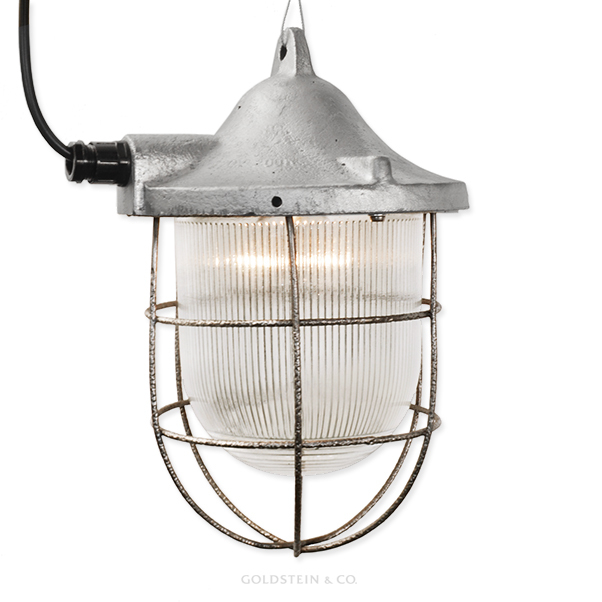 Featuring an elaborate splash-proof design, these lamps comprise cast-iron casing fitted with heatproof, pressure-resistant safety glass and a steel protective cage. The E27 ceramic socket inside is spring-mounted to protect the bulb from sharp knocks. This is the largest and heaviest version of this design ever produced. Although extremely robust, it boasts a simple yet elegant design. By request we can deliver a version without protective cage (EXH3AC/R). 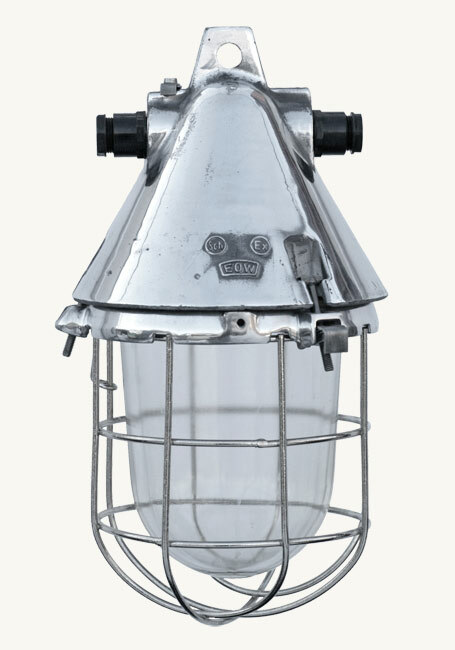 These lights were used at power stations, tank farms and mines. 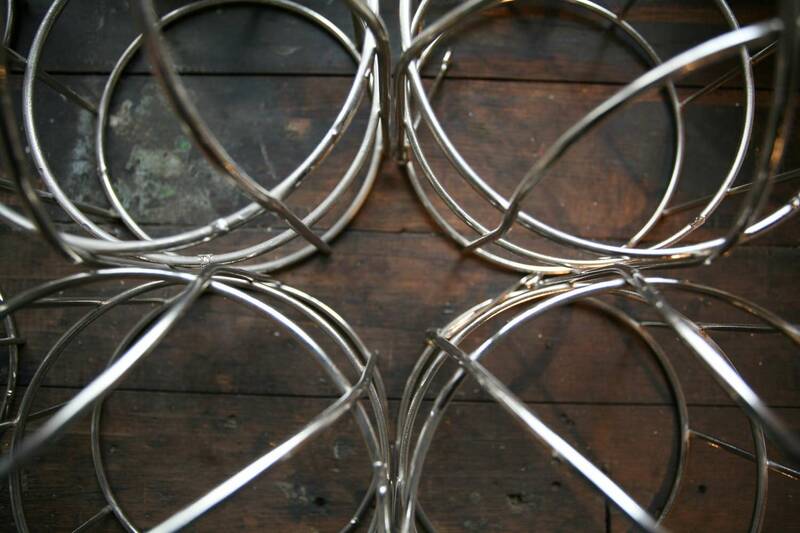 To recondition these lamps, the body has been red powder-coated and the cage newly chrome-plated. Comes with ceramic E27 socket. Large quantities are available! 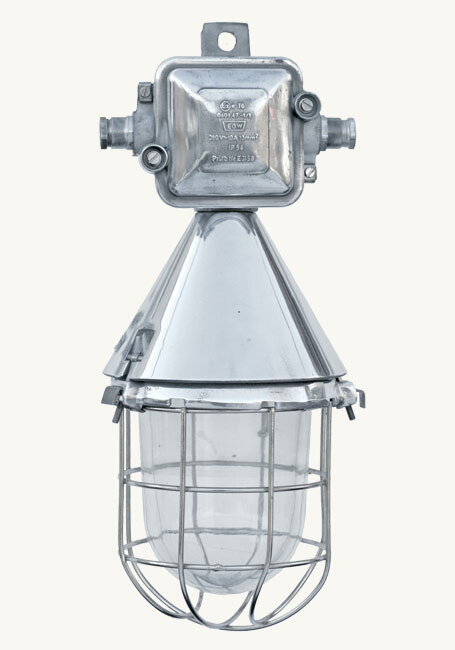 Dimensions:50 x 30 x 30 cm | 19.7" x 11.8" x 11.8"
This giant uncle of the popular 'turtle lamp' was used in all kinds of heavy industries like power stations, tank farms and in other buildings containing hazardous materials. 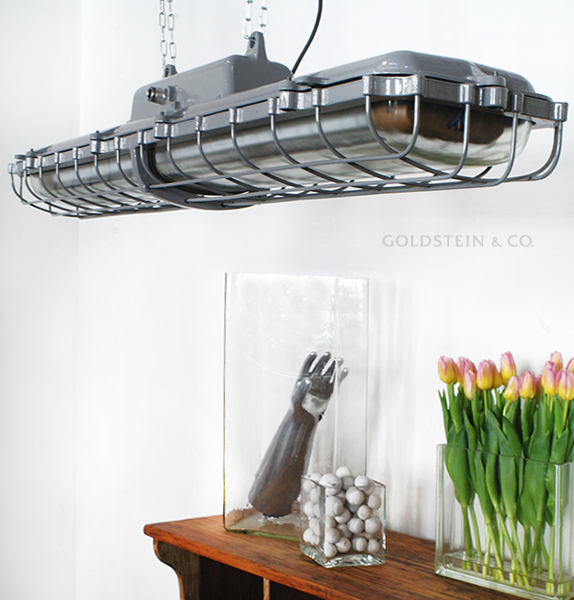 Featuring an elaborate splash-proof design, these lamps comprise die-cast aluminium casing fitted with heatproof, pressure-resistant safety glass and a steel protective cage. 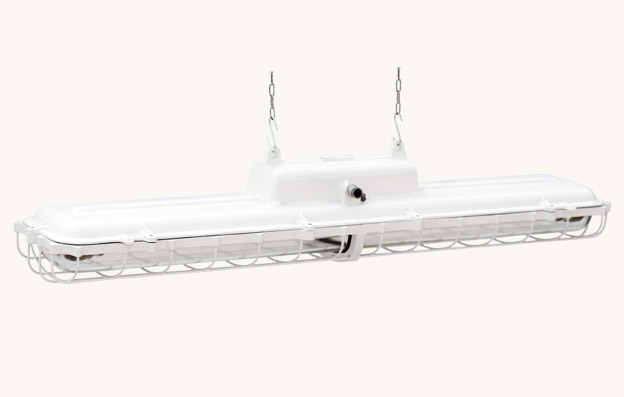 The fixture takes standard fluorescent tubes. Body and cage have been cream-powder coated. All RAL colours are possible. Please note the weight of 45 kg! 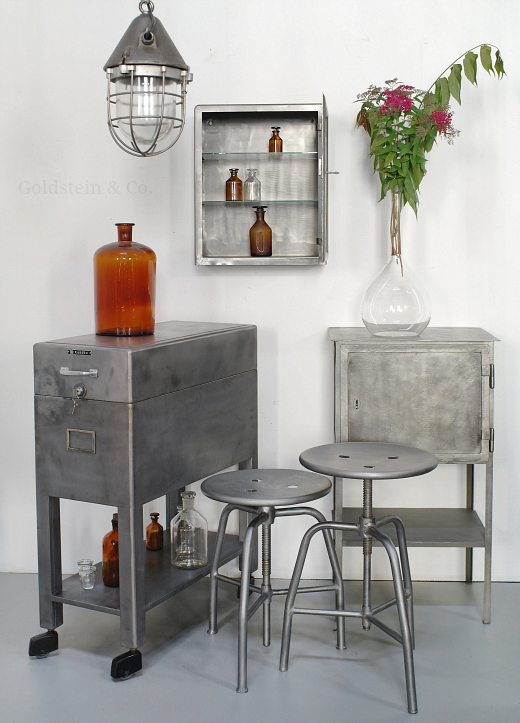 These lamps were produced as of 1924 in a wide range of different designs and are the embodiment of twentieth-century industrial charm. Their simple, elegant appearance belies their extremely robust design. 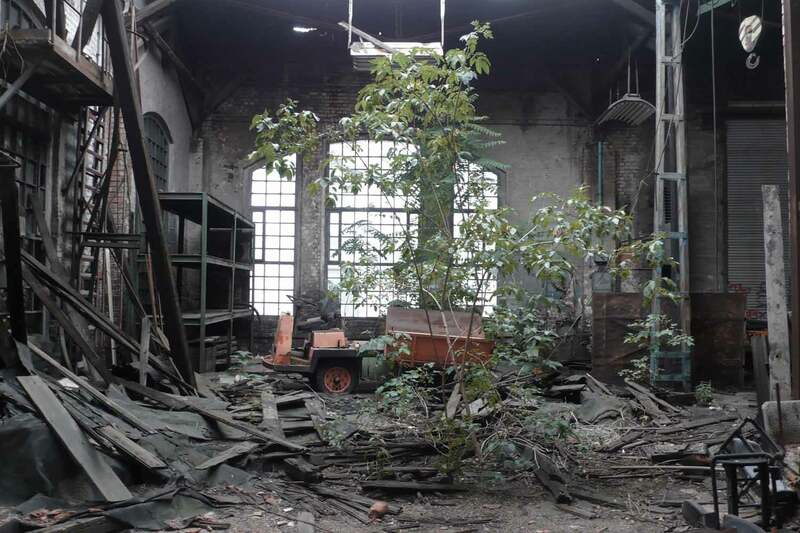 They were used in power stations, on tank farms and in other buildings containing hazardous materials. 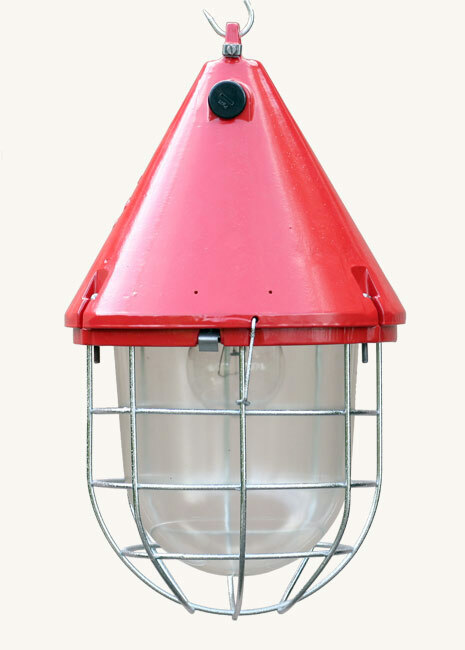 Featuring an elaborate splash-proof design, these lamps comprise either die-cast aluminium or cast iron casing fitted with heatproof, pressure-resistant safety glass and a steel protective cage. 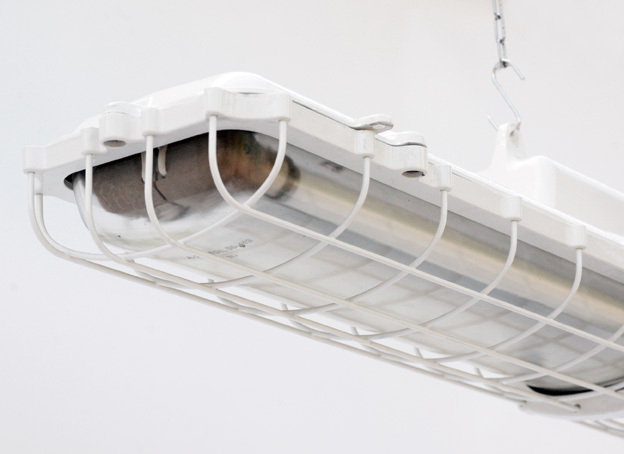 The E27 ceramic socket inside is spring-mounted to protect the bulb from sharp knocks. 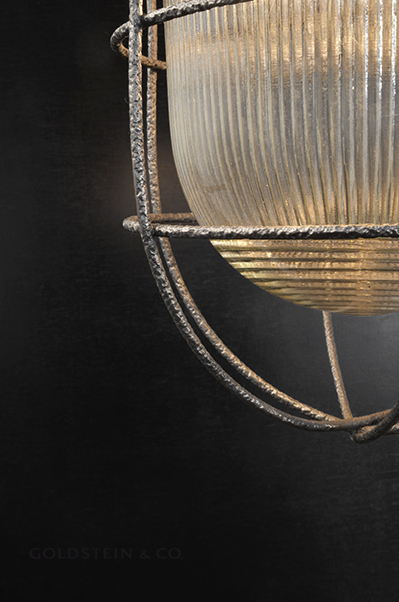 To recondition these lamps, the body and cage have been finely sandblasted and re-polished; additionally, the cast iron is chrome-plated. 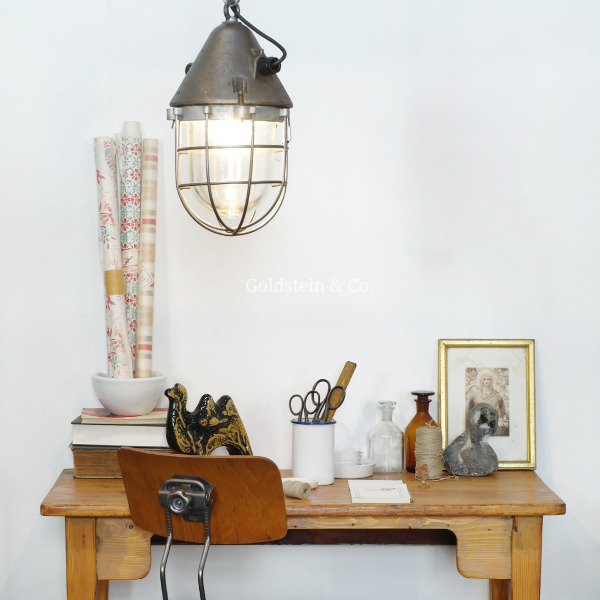 However, we also usually have plenty of unrestored lamps of this type in stock. 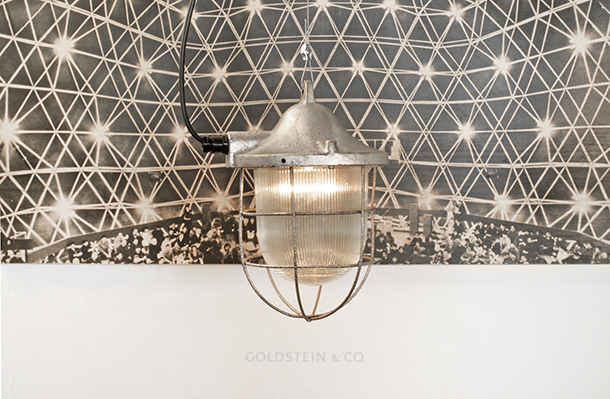 These lamps were produced as of 1924 in a wide range of different designs and are the embodiment of twentieth-century industrial charm. Their simple, elegant appearance belies their extremely robust design. 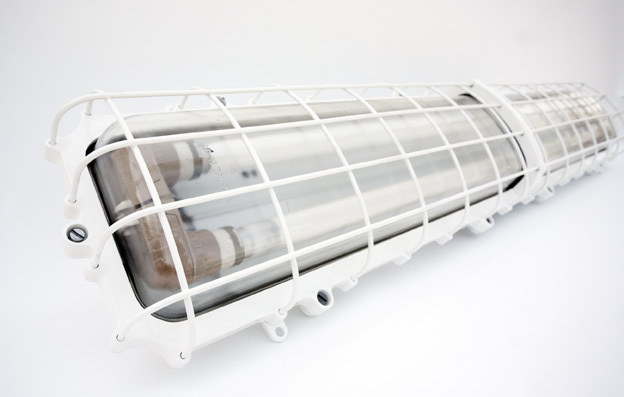 They were used in power stations, on tank farms and in other buildings containing hazardous materials. 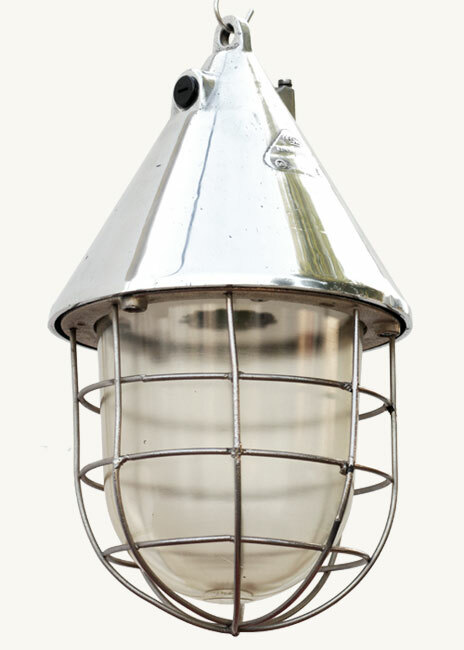 Featuring an elaborate splash-proof design, these lamps comprise die-cast aluminium casing fitted with heatproof, pressure-resistant safety glass and a steel protective cage. The E27 ceramic socket inside is spring-mounted to protect the bulb from sharp knocks. 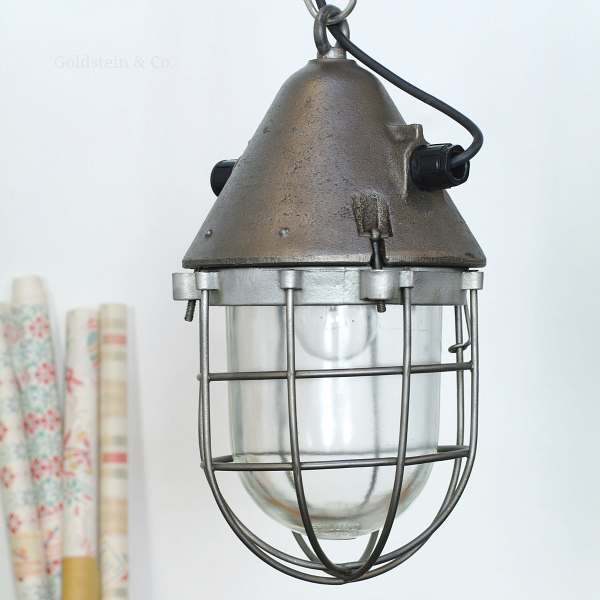 To recondition these lamps, the body and cage have been finely sandblasted and re-polished. This version comes with aluminium junction box. 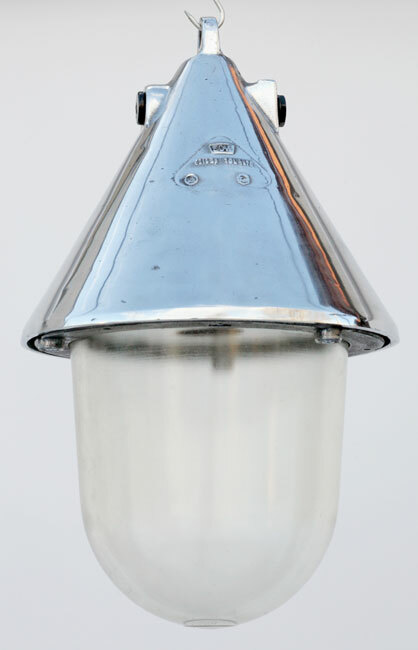 However, we also usually have plenty of unrestored lamps of this type in stock. This is the largest and heaviest version of this design ever produced. 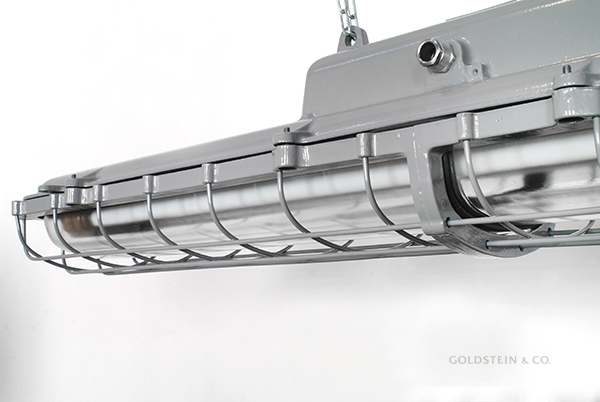 Although extremely robust, it boasts a simple yet elegant design. By request we can deliver a version without protective cage (EXH3AC/P). 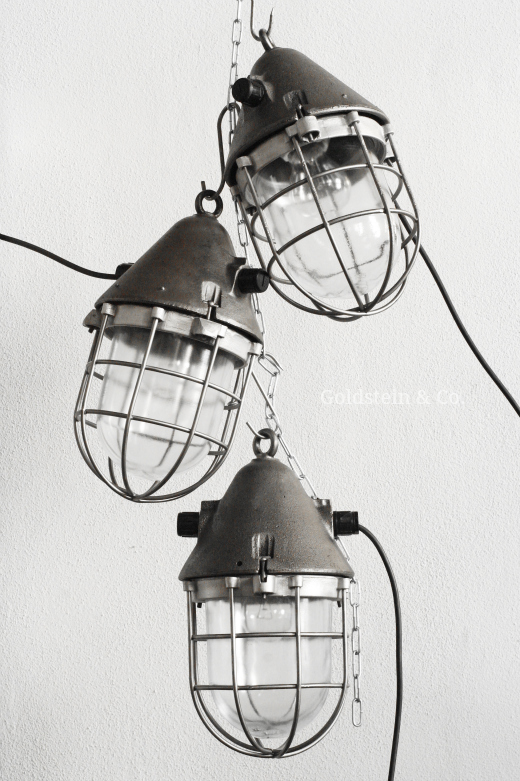 These lights were used at power stations, tank farms and mines. 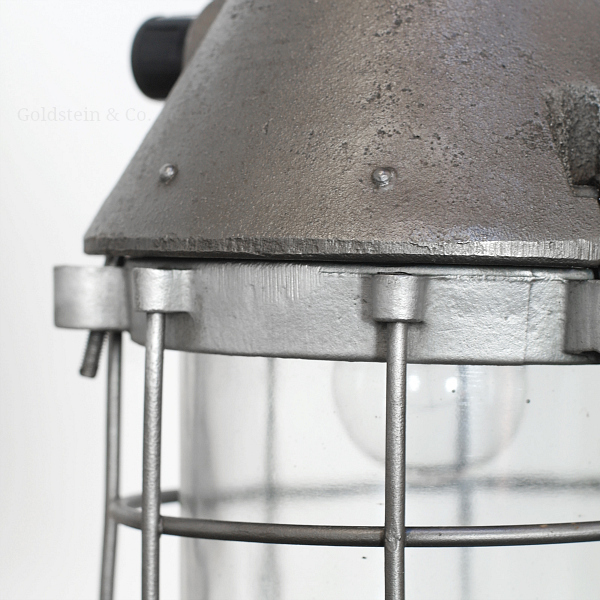 To recondition these lamps, the body and cage have been finely sandblasted and re-polished. Comes with ceramic E27 socket.